Many Canadian Android enthusiasts have probably been eying one tablet or another but some have held off because of the lack of a 3G capable version. Well the wait will soon be over Rogers will be releasing the LG Optimus Pad. This will be Canada's first 3G capable tablet ("4G" if you consider HSPA+ as 4G). 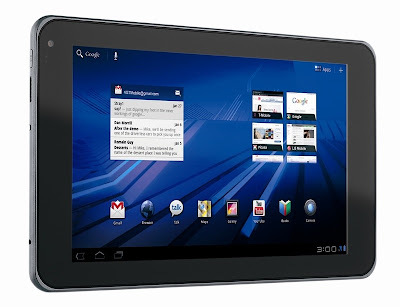 It's got the usual suspect of hardware for Android tablets; Dual-Core 1GHz Tegra 2 Processor, 1280x800px resolution screen, Android 3.0. What sets this tablet aside is the form factor and the 3D capabilities. The screen is a 8.9 screen which is significantly smaller than the other main tablet offerings in Canada (Apple iPad 2, Motorola XOOM, Acer Aconia, ASUS Eee Pad Transformer). It also sports dual-cameras for taking stereoscopic 3D video.